_Our mission is dedicated to providing the best medical care to our patients with breakthrough technology and state of the art medicine. This clinic was founded by Dr. Wei-Ching Lee in a mission to provide quality rehabilitation care to help her patients rebuild their lives so they can live life to their fullest. We strive to meet our patients with grace, kindness, and acceptance. Dr. Wei-Ching Lee (W.C. Lee, M.D.) is a board certified diplomate of the American Board of Physical Medicine and Rehabilitation. She is a physician specializing in injuries of the muscles, bones, and nerves. To learn more about Dr. W.C. Lee's specialty in Physical Medicine & Rehabilitation, please click here. Dr. Wei-Ching Lee has an unwavering dedication to patient care that has earned the praise of her many patients and colleagues. She has been recognized for her superlative work in acute inpatient rehabilitation program, outpatient physical medicine & rehabilitation clinic, shoulder clinics, and in developing and operating a wheelchair clinic for those with spinal cord injuries. Dr. W.C. Lee was born and raised in Wisconsin. Dr. Lee is committed to providing state of the art medical care to her patients. After graduating in the top 1% of her undergraduate class at University of Wisconsin-Madison where she received research grants including Hilldale research grant to study Muscular dystrophy and Lou Gehrig's disease (aka Amotrophic Lateral Sclerosis). She also received nationally renowned Phi Beta Kappa and Phi Kappa Phi scholarship awards for medical school. 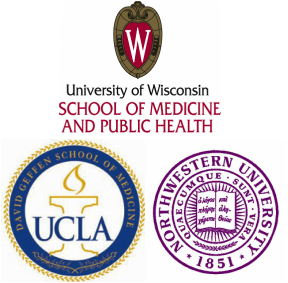 Dr. W.C. Lee completed her Doctor of Medicine degree at the University of Wisconsin Medical School in Madison, WI. Her internship training was at the prestigious Northwestern University in Chicago, Illinois. Dr. Lee completed her specialty residency training in Physical Medicine & Rehabilitation at University of California Los Angeles (UCLA). Dr. Lee managed the acute inpatient rehabilitation unit at the Spinal Cord Injury center at Long Beach Veterans Administration (VA) hospital where she cared for veterans with spinal cord injury and developed Long Beach VA's first multidisciplinary wheelchair clinic dedicated to spinal cord injury patients. She is an active physician staff of Casa Colina Centers for Rehabilitation and Methodist Hospital in Arcadia, CA. Following more than four years of managing an acute inpatient rehabilitation center, Dr. Lee now brings her specialty practice to nursing homes and your home to help disabled and post-operative patients lead more enriched lives through improved rehabilitation and physical function. Dr. Lee continues to bring quality rehabilitation care to her patients in her outpatient clinic where she practices general physical medicine & rehabilitation including caring for muscular, orthopedic injuries, and neurological injuries. She also has expertise in spinal cord and brain injuries. Additionally, she speaks Cantonese. She has staff that speaks Mandarin. 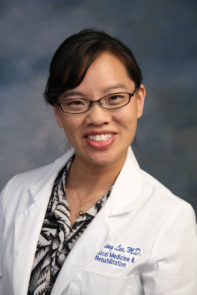 Wei-Ching Lee, M.D. is affiliated with Methodist Hospital in Arcadia, CA and Casa Colina Centers for Rehabilitation. Dr. W.C. Lee, QME, is an Independent Medical Examiner (IME) and has experience in worker's compensation injuries. She is politically active in her community to preserve and maintain access of disabled patients to the services of physical medicine & rehabilitation. She serves as Director for California Society of Physical Medicine and Rehabilitation in the Greater Los Angeles chapter (CSPMR) and has been elected as the Delegate for San Gabriel Valley District of Los Angeles County Medical Association (subsidiary of California Medical Association). Note: Translations may not be accurate.